﻿ Best Price on Hotel Costa Azul Faro Marejada in Puerto Cortes + Reviews! 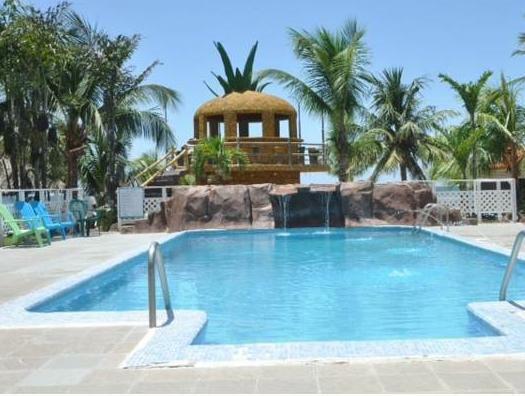 This beachfront property is located in Puerto Cortés and offers 3 outdoor pools, hot tub, and tennis courts. A fitness center, basketball courts and 2 restaurants are also available. The rooms at Hotel Costa Azul Faro Marejada feature air conditioning, TV and free Wi-Fi access. The private bathroom provides free toiletries and some rooms may have a balcony. Hotel Costa Azul Faro Marejada has also a beach bar and a disco. Hotel Costa Azul has direct access to Marejada Beach, and horse rides on the beach are a popular activity. Ramón Villeda Morales International Airport, located in La Lima, is 1 hour and 13 minutes’ drive away.